A new simplified edition translated by Don Sanderson. 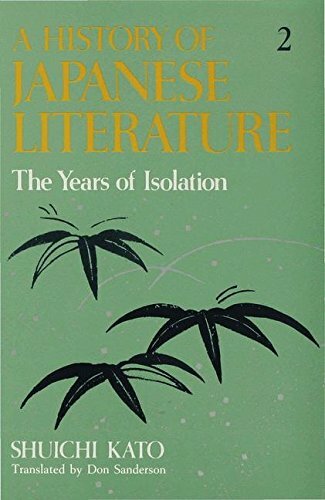 The original three-volume work, first published in 1979, has been revised specially as a single volume paperback which concentrates on the development of Japanese literature. SHUICHI KATO is Professor of Japanese Intellectual History at International College, Sophia University, Tokyo. He was born in Tokyo in 1919 and graduated in medicine from Tokyo University in 1943, taking his doctorate in medicine in 1960 and, during the 1950s, pursuing medical reaserch there. Since 1960 he has held chairs in Asian Studies at the University of British Columbia and the Free University of Berlin, and he has been a Visiting Professor at the University of Munich and Sophia University, Tokyo. Before his present post he was Visiting Lecturer in Far Eastern Studies at Yale University.